Belluschi designed Central Lutheran Church with ample space for worship, fellowship, education, and administration. Now used by over 40 community groups. 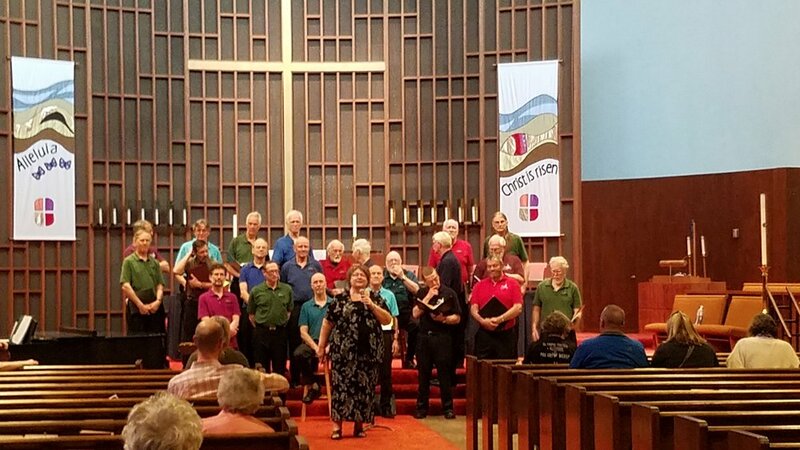 Musical groups ranging from Shine Children's Chorus to the Portland Ukelele Choir utilize the church space for rehearsals and annual concerts. Each week dozens of children gather in our Northeast Indoor Park for play and entertainment. A multitude of young families gather upstairs to enjoy Music Together programs several times a week. We create a space of joy and praise for the children from all over the greater Portland area who come to play and sing. From a weekly card gathering to monthly meetings, Central has hosted groups like Portland's Rain of Glass for years. Additional Community partners include: Satori Men's Chorus; 350PDX; EcoFaith Recovery; PDX Vox; Bells of the Cascades; Portland Columbia Symphony Orchestra; Portland Lesbian Choir; Portland Symphonic Choir; and many more.